Help Make South Ardmore Better - Volunteer! Saba is a volunteer-run organization, and these events help bring neighbors together. We count on your generosity of time, talent, and treasure. If you would like to organize a fun activity for the neighborhood, feel free to contact us and we can help you get started (go to the Join Us page). As many of you already know, SABA puts out a yearly newsletter that needs to be distributed throughout the neighborhood at the end of June. This hand delivery saves us from paying the ever-increasing postage rates AND ensures that neighbors who do not have access to the web or are new to the neighborhood are informed about events. We distribute packets of newsletters to the block captains, who then deliver the newsletters to all homes on their respective blocks. We are seeking assistance with the following tasks. Could you consider helping out for a few hours with one of them? The newsletter provides information about SABA's yearly activities and news about recent community initiatives. In short, it is our way of connecting with all of South Ardmore. Please help us maintain that connection by getting the newsletter out this year. 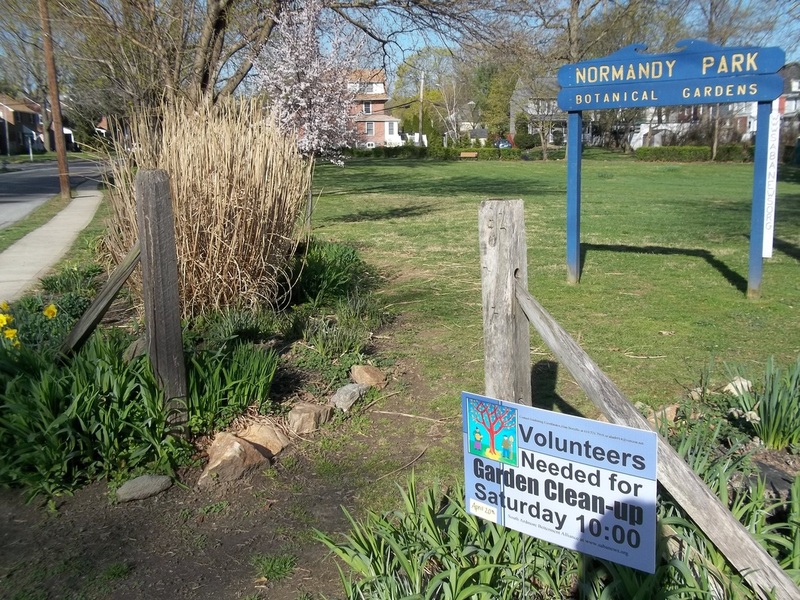 Neighbors with a gardening interest are invited to sign up to help maintain the garden beds around the house and the corner beds at Normandy Park, bounded by Cricket Avenue, Oakford and Normandy Roads. Volunteer to be “The Garden Coordinator” or be on the landscaping team. Spring, Summer, Fall Cleanups. Bring your shovels and gardening gloves and help us prepare beds, pull weeds, and plant donated or bought plants/bulbs. Volunteer to "Adopt a Spot"--it can be a small or big section to maintain throughout the year. Just drop us a line so that we can keep track of the areas. Pull a weed or two--as you walk by or play at the park. 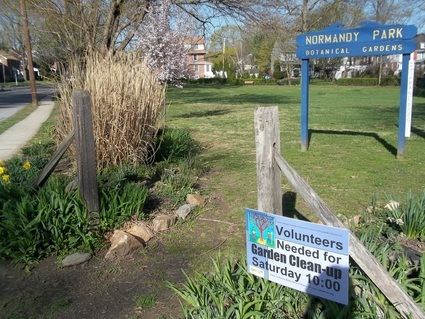 Volunteer to coordinate a garden clean-up/planting with a group of friends and neighbors. This would be good for a boy or girl scout troop activity. Bring your eager egg hunters (age 1-9), dressed to parade, baskets or bags, and a camera for photo ops with the Easter Bunny. Our Annual Easter Egg Hunt is held at Normandy Park usually 2 Saturdays before Easter (with a raindate, the Saturday before Easter). The Bunny meets us on the corner of Cricket and Normandy, then we parade along the sidewalk to the T-Ball Field entrance. We start the Egg Hunt with the littlest peeps first. 5. Be "Egg Guards"--once the eggs are laid out, then guard them against poaching. The Darby Creek watershed flows through 77 square miles, 31 municipalities and four counties from Radnor to Tinicum. Help us coordinate a creek clean-up with some of Chestnutwold’s garden clubs, scout troops, and neighbors in celebration of Earth Day! A great eco-friendly excuse to gather and meet your neighbors prior to slipping on old sneakers/rainboots, gloves and heading into the brisk ankle deep waters of Pont Reading Creek. Every year volunteers are able to take out a lot of litter from the creek as well as make interesting discoveries. Last year we found some interesting things like a cable box, parts of a toilet,and many, many socks. Who knows what we'll find this year? Another way to get rid of your stuff or buy treasures from your neighbors. We need 1 organizer to field emails, compose a list of addresses and post them to our Facebook page. This is our neighborhood's biggest and longest-running event. We kick off the celebration with a traditional neighborhood parade complete with patriotic costumed kids, family pets, scooters, trikes and bikes. Hundreds of neighbors join in with fire trucks leading the way. We start at Chestnutwold Elementary and make our way to Elwell Field where the parade entrants are judged. Then it is on to the field events which include running races, sack races and a water balloon toss. Other activities may include face painting/temporary tattoos, arts and crafts, a dunk tank, and of course, the FOOD tent. To make this event possible we need more than 30 volunteers to help arrange the event, set up equipment, staff the various activities and then clean up at the end of the approximately 3 hour party. Neighbors with special talents, hobbies or skills. This Sunday event is a major fundraiser for SABA. The course starts/ends at Normandy Park, goes through the neighborhood streets and down the bus lane. We need 1-2 organizers, Safety Marshalls (15+), 1-2 registration table helpers, and neighbors who can solicit donations from local businesses. Check out the creativity of our friends and neighbors as you tour the “Hood” looking for traditional or whimsical scarecrows. We need 1 organizer, a volunteer to field emails and compose a list of addresses for registered scarecrows, another volunteer to take pictures of the scarecrows and post them on our Facebook page/group, and 2-3 judges. This event initially started in 2007 as Luminary Night – an evening in late December in which neighbors decorated their homes, lit luminaries along their sidewalks, and then joined us in Normandy Park for hot drinks and snacks. Another year, we had a cookie share and sang carols; it was a great way to see old friends and make new ones! We are looking for 1-2 volunteers who can organize another Holiday Caroling event in December. We could use other volunteers who are willing to lead songs and/or can play an instrument. So start practicing your songs in the shower!